Former Patriot defensive lineman Chris Long took the all-important step in the NFL protests of the 2017 season; he didn’t just kneel but is actively working to improve his own community. He initially donated his first 6 game checks to provide two scholarships for students in his hometown of Charlottesville, Virginia. That’s the infamous location of the white supremacist rally and counter protest of their ideology where one woman was murdered. Long felt he needed to take action to fight against the hateful ideology displayed in Charlottesville. 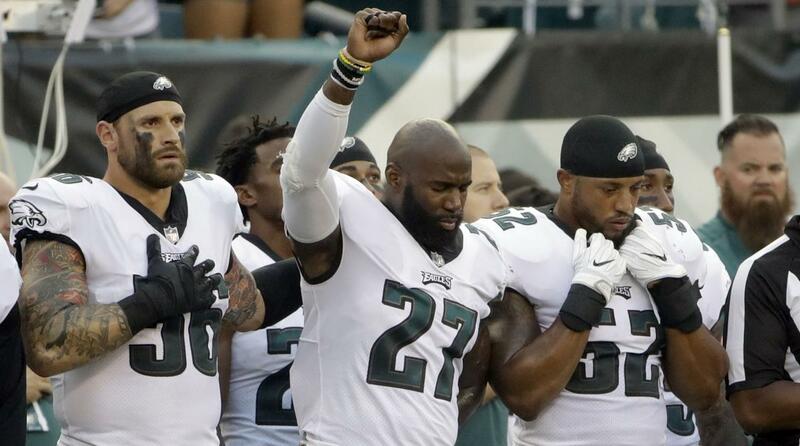 The most vocal NFL protesters such as Malcolm Jenkins and Michael Bennett discussed how white players need to support or join in to validate the action. It would illustrate the unity between players of all backgrounds, and the common goal of fighting inequality in marginalized groups. Long has not kneeled himself but has been supportive of his Philadelphia Eagles teammate Jenkins. The hate he witnessed in his hometown has spurred him to not just supporting his fellow black teammates but putting millions of dollars in the hands of underprivileged citizens in his community. Much of the negativity against these anthem protests was because millionaire athletes kneeling during the anthem to protest inequality, when they clearly don’t face many hardships, seemed ridiculous. Many asked for players to do more than just kneel, but go out into the community and use that platform as a professional athlete to generate social change. Chris Long isn’t kneeling, but he is supporting his teammates and using his millions to alleviate inequality as best he can. He is who should be the face of this movement. Long’s generosity does not stop at his first 6 game checks but he is also donating the rest of his 2017 salary to launch the Pledge 10 for Tomorrow campaign. This campaign is looking to encourage people to make donations to improve equal education opportunities. Long’s campaign has targeted 4 organizations in the 3 different communities he has played in during his NFL career. The city that raises the most money will receive an additional 50,000 dollars. Education for those who face inequality is an invaluable start. The NFL protests started the conversation for how this country can improve and be inclusive for people of all races, religions and creeds. Long’s actions need to be picked up by other players and the NFL who should start other education campaigns for more communities who face inequity. The NFL and many players met recently and had a productive conversation but action is next and will hopefully come soon. Whether or not you agree with the protests there is progress that could be made in many communities around the country. Long has been involved in these protests in a productive way and should be commended. The media has reported his generous action but much more of the rhetoric is around the act of kneeling and not what can be done to help underserved communities in improving educational opportunities and hopefully social mobility. Long may be the first NFL player who has not only attempted to raise awareness using his unique platform but used his privilege and fortune to benefit those in the communities he has been a leader to for many years. Check me out on twitter @jakescearbo if you would like to discuss these types of protests and what can be further done in the future. I have written about these protests multiple times on my website jakescearbo.com if you want to see a research based and non-partisan view of what I believe these racial protests in sports mean. Thanks for reading!